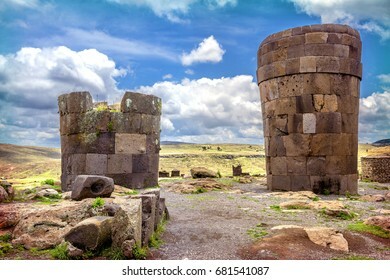 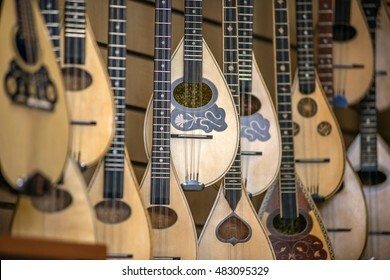 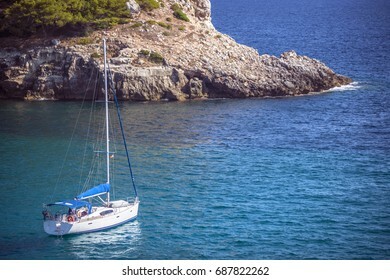 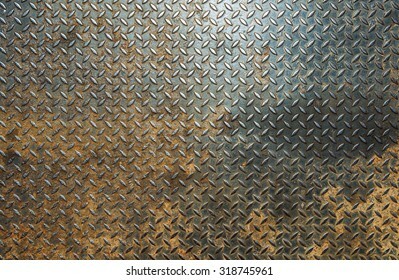 3,882 stock photos, vectors, and illustrations are available royalty-free. 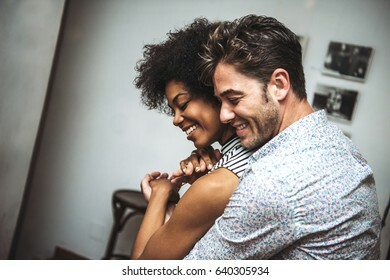 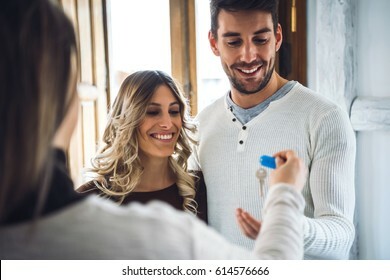 Young happy couple smiling and taking keys from new real estate. 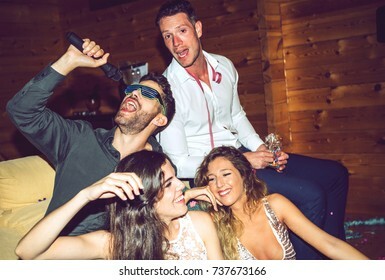 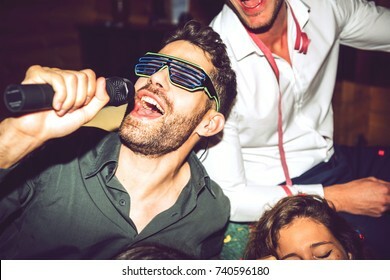 Group of men and women singing karaoke on glamorous party together. 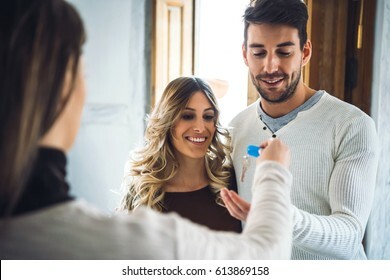 Young happy couple smiling and getting keys from new real estate from agent. 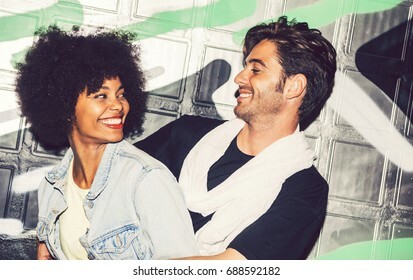 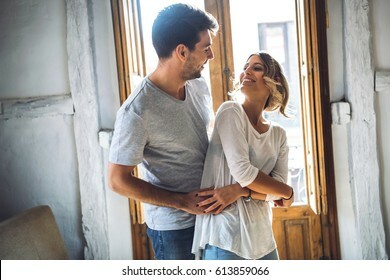 Lovely young couple smiling and dancing against window in apartment. 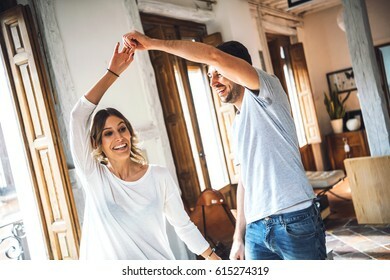 Young happy couple embracing while dancing and looking at each other against window. 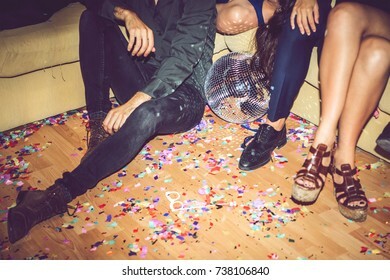 Unrecognizable people sitting on sofa and on dirty floor during private party. 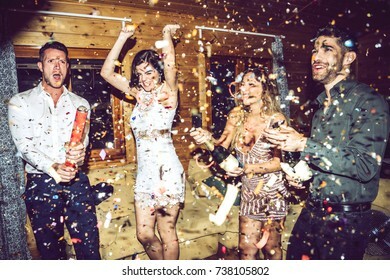 Happy-looking people using party crackers and opening champagne during party. 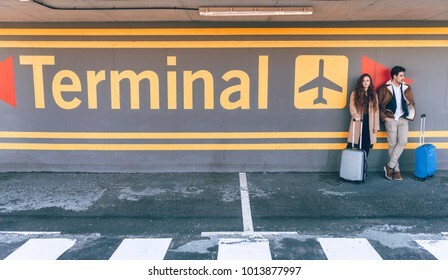 Young couple with suitcases leaning at wall of terminal in airport. 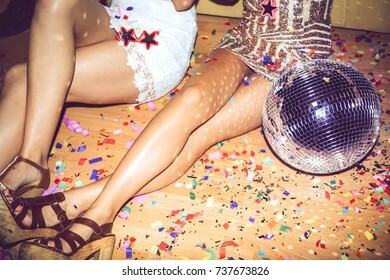 Legs of unrecognizable women sitting on floor covered with confetti during glamour party. 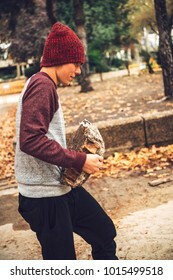 Sportive man working out and training muscles while carrying piece of stone in park. 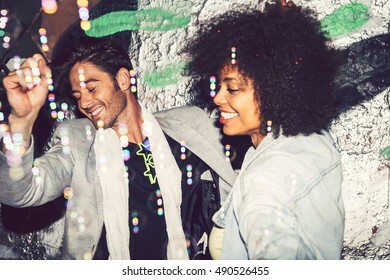 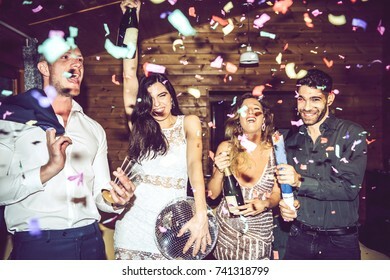 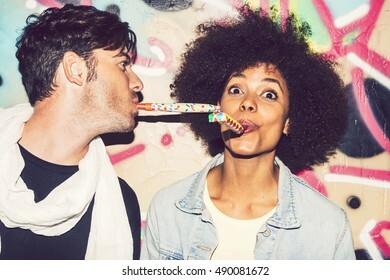 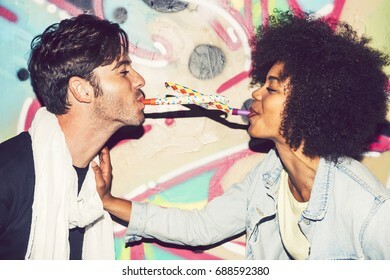 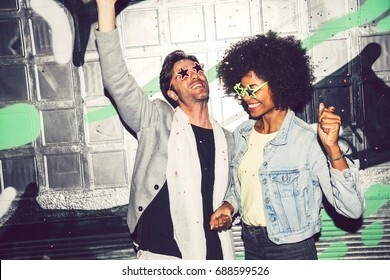 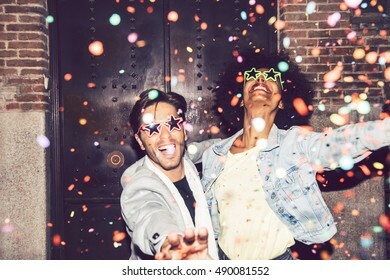 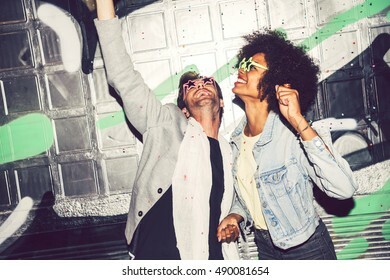 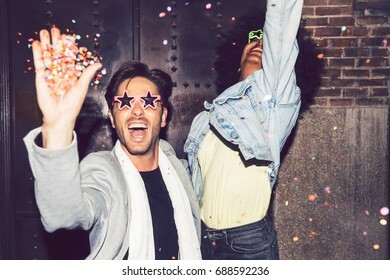 Happy-looking people using party crackers with confetti and opening champagne during party. 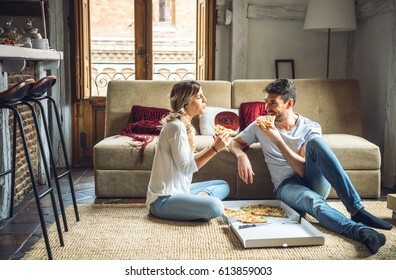 Young couple in casual clothing eating ordered pizza while sitting on floor in living room. 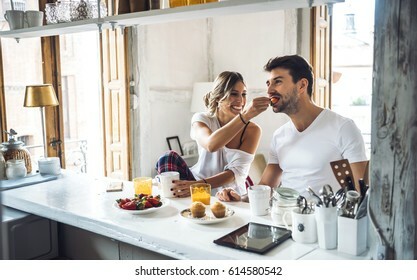 Crop unrecognizable man and woman with suitcases drinking coffee in cafe of airport. 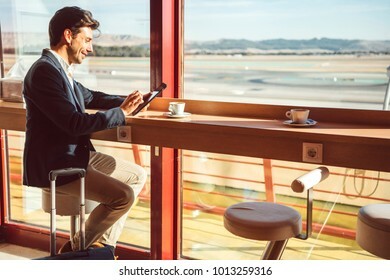 Young redhead woman with suitcase sitting and using smartphone at window in airport. 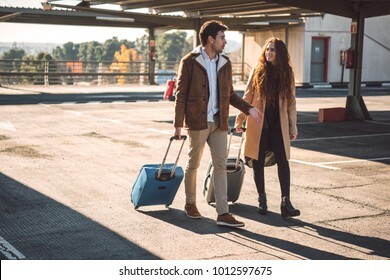 Young couple with suitcases walking with suitcases and talking on parking lot in airport. 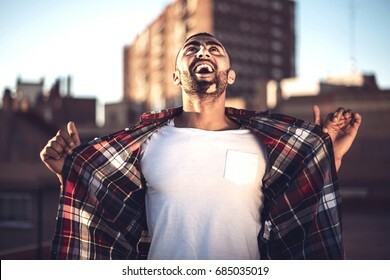 Sportive parkour athlete flying and flipping above ground on street. 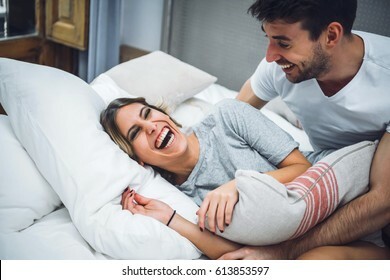 Young sweet couple laughing while playing in bed together and fighting with pillows. 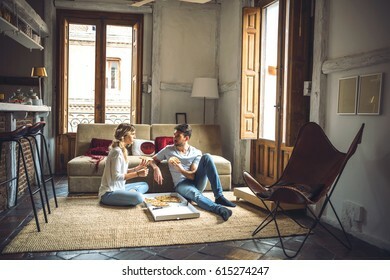 Two young people sitting on floor and sharing ordered pizza. 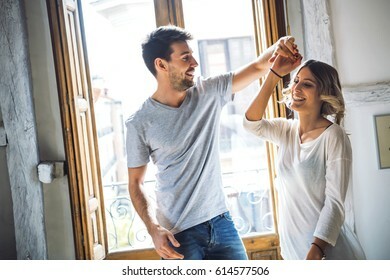 Smiling young couple wearing casual clothing spinning while dancing at apartment in daylight. 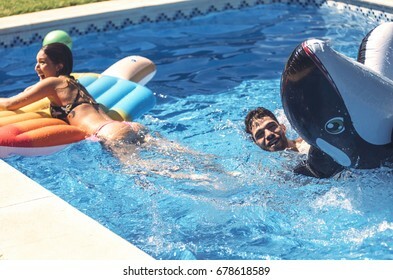 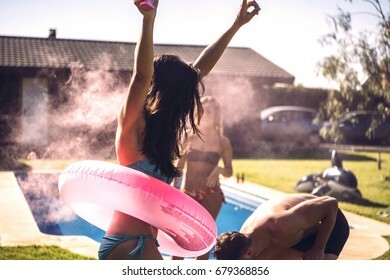 Male and female friends with inflatable fish and airbed having fun in pool together. 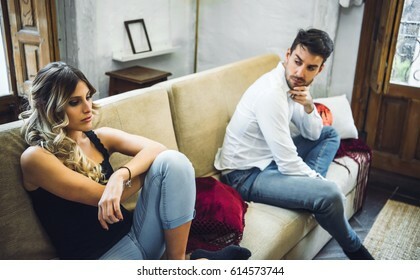 Young couple sitting on sofa being angry after fight. 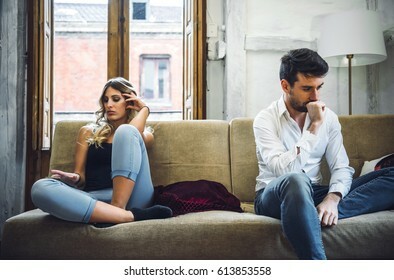 Couple sitting on sofa apart and being angry after quarrel. 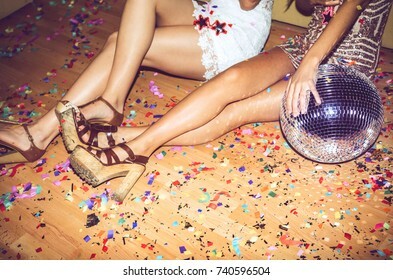 Pretty woman sitting with disco ball on floor covered with confetti and looking at camera. 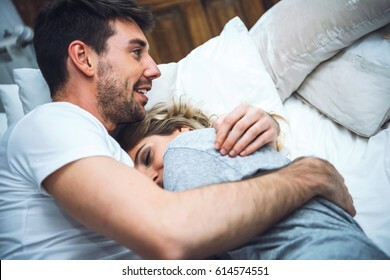 Two young people in pajamas cuddling together in bed. 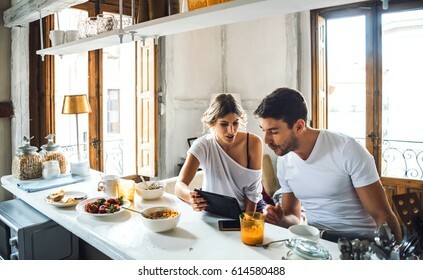 Side view of handsome young man using tablet while drinking coffee in cafe. 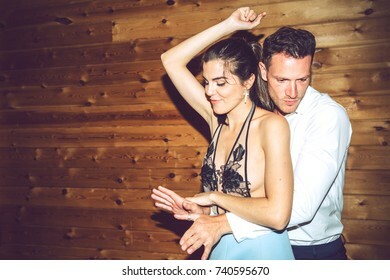 Handsome man and beautiful woman in fancy dress dancing together at private party. 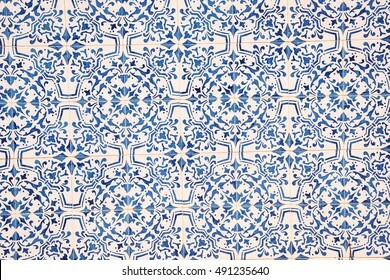 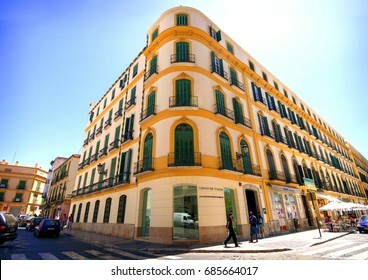 MALAGA - MAY 15: The Pablo Picasso Fundation Birthplace Museum in Malaga city on May 15, 2009 in Malaga, Spain. 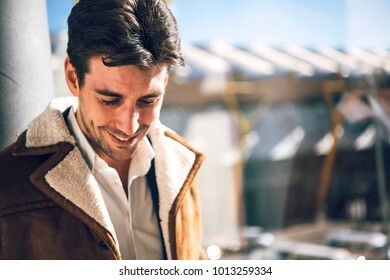 Handsome smiling young man standing at window in terminal of airport. 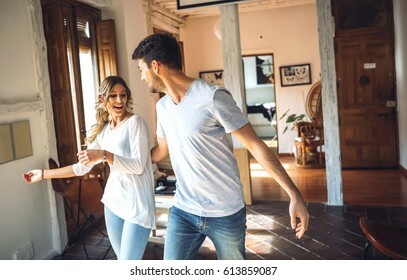 Two cheerful happy people dancing in living room of modern apartment. 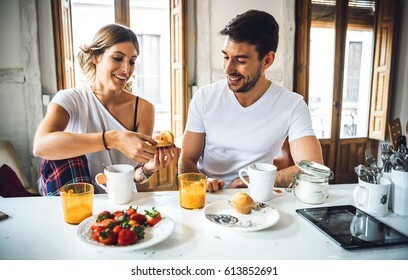 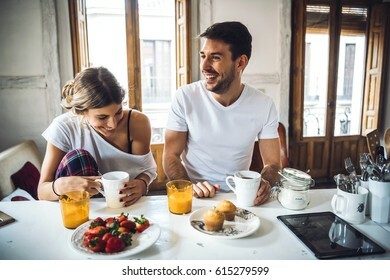 Cheerful young couple sitting by table at breakfast and laughing. 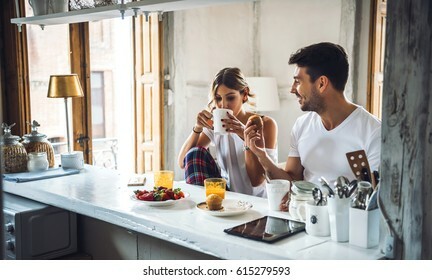 Young sad male in casual outfit holding red mug and standing near window in rain. 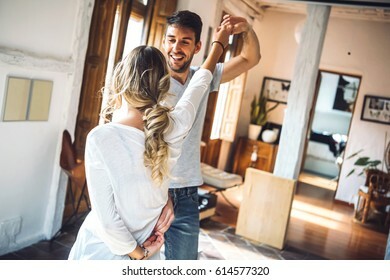 Young couple performing dance and having fun in living room of modern apartment. 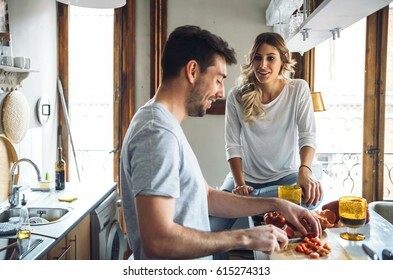 Loving man feeding woman while cooking dinner at kitchen. 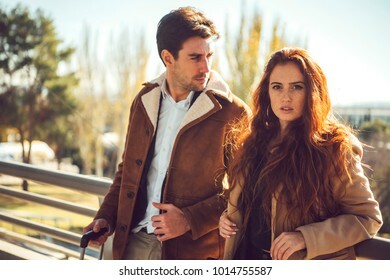 Beautiful redhead woman looking sensually at camera standing with elegant man in airport. 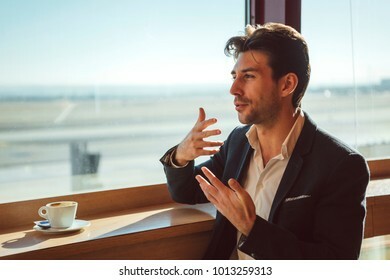 Handsome young man sitting at window in cafe while gesturing and talking. 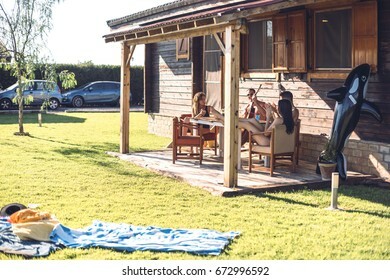 Guy with his friends playing guitar on porch of summerhouse on sunny day. 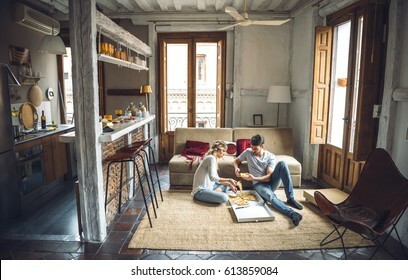 Young couple sitting on floor with carton box with pizza and cutting it. 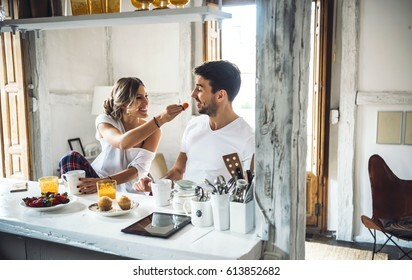 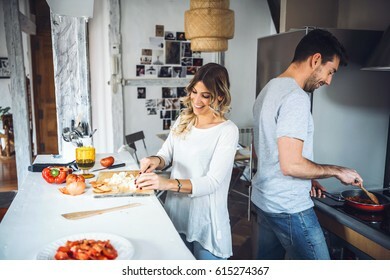 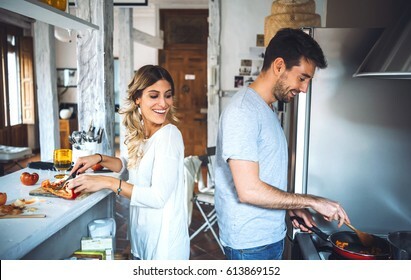 Young cheerful couple making dinner in modern kitchen. 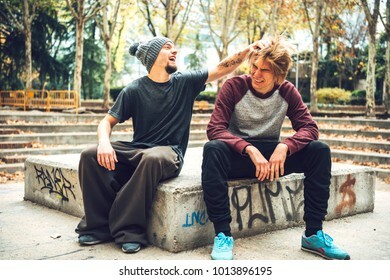 Young sportive friends playing and teasing each other having fun in park during freerunning workout. 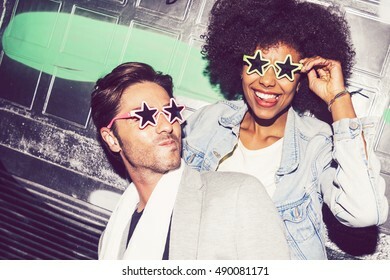 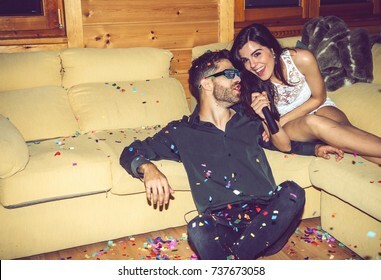 Happy young man and woman singing karaoke on glamorous party together. 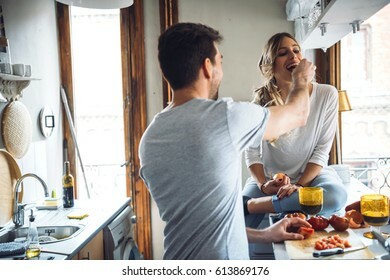 Lovely cheerful couple cooking dinner together and having fun at modern kitchen. 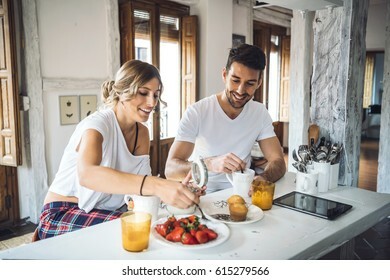 Young smiling couple preparing romantic dinner together at modern light kitchen. 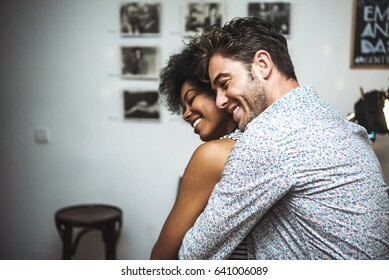 Man embracing woman from back and dancing with eyes closed in bar. 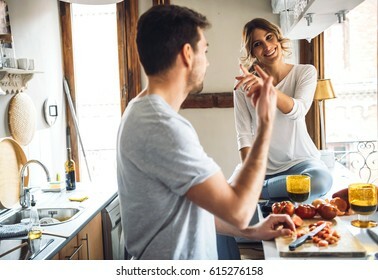 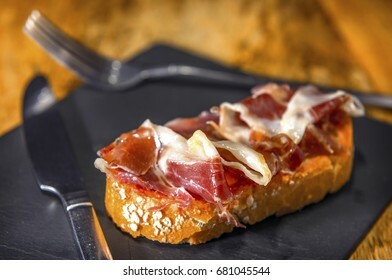 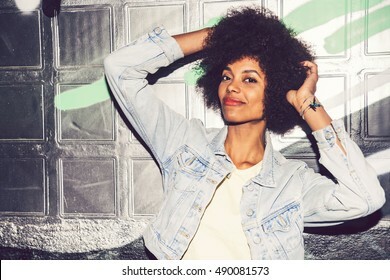 Young beautiful female laughing widely and sitting at kitchen with man cooking dinner. 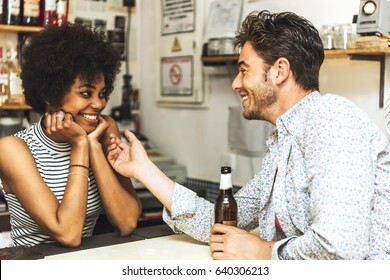 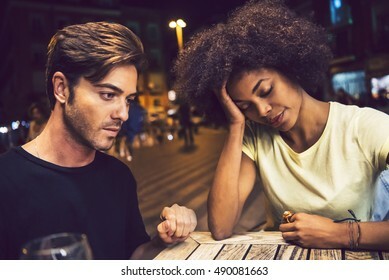 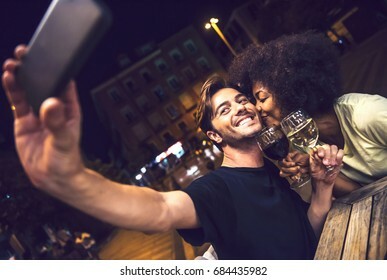 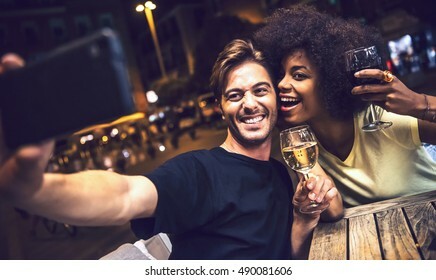 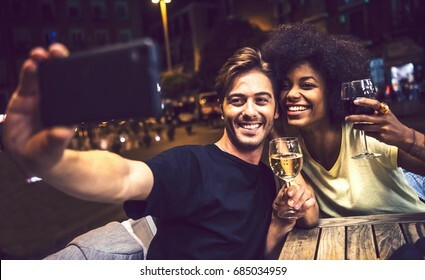 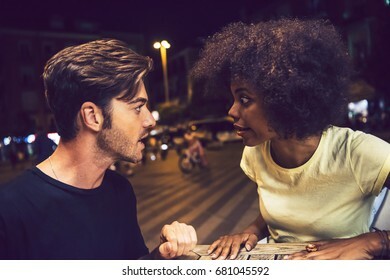 Young man holding bottle of beer and flirting with female bartender. 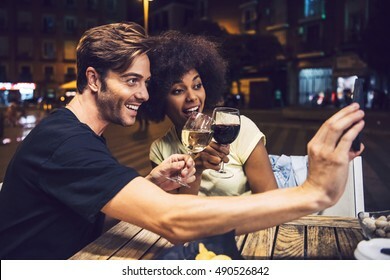 Young couple sitting in modern cafe and using smartphones without paying attention to each other. 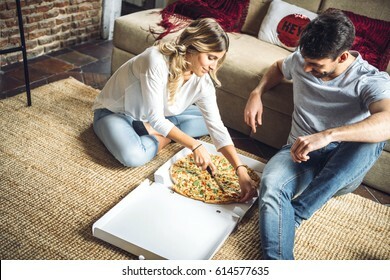 Young people sitting on floor in living room and eating ordered pizza. 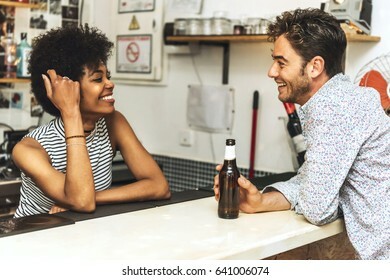 Side view of young man drinking beer in bar and flirting with bartender. 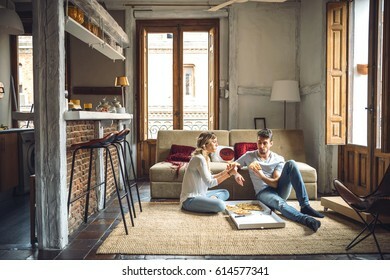 Lovely couple eating pizza while sitting on floor of living room in modern apartment. 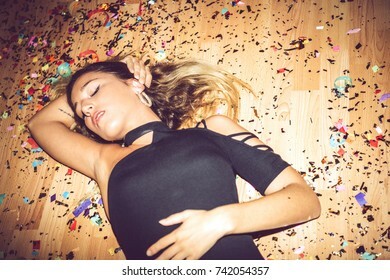 Woman lying on dirty floor covered with confetti in provocative pose during private party. 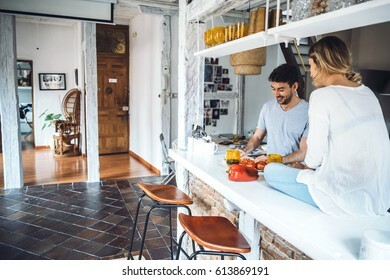 Beautiful apartment with two young people cooking at kitchen and talking. 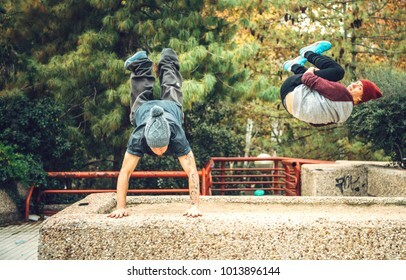 Young sportive men showing tricks and exercises training freerunning in park. 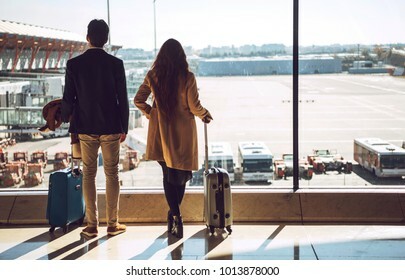 Back view of young man and woman standing with baggage at window in terminal of airport. 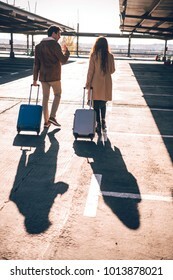 Back view of young couple walking with suitcases on parking lot in airport. 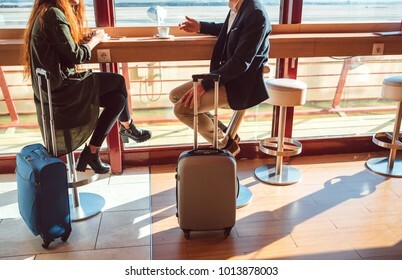 Young man and woman with luggage sitting together in waiting room in airport. 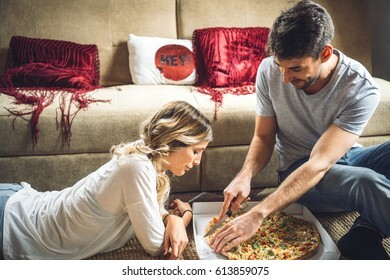 Young lovely couple sitting on floor and cutting ordered pizza. 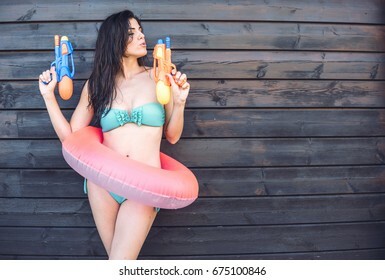 Young lady in green bikini with air ring around her posing with water guns by wooden wall. 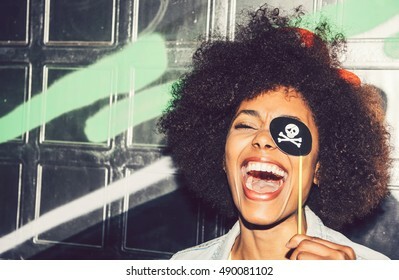 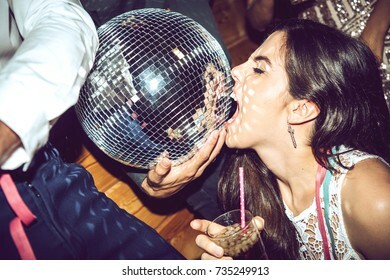 Young vogue woman with eyes closed holding drink and biting disco ball during glamorous party. 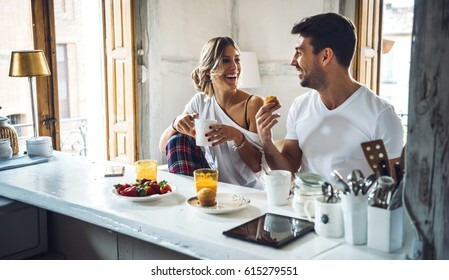 Yong loving couple watching tablet and having breakfast. 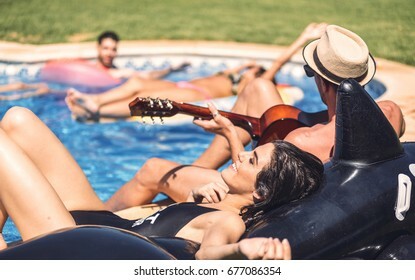 People swimming with inflatable toys while man sitting and playing guitar on poolside. 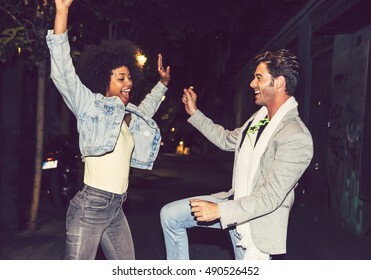 Young athletic friends jumping and exercising in freerunning having fun. 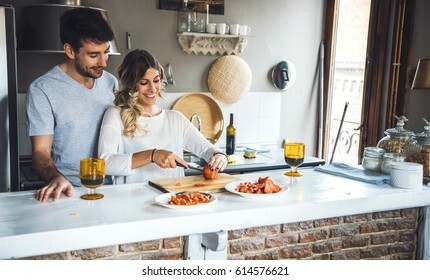 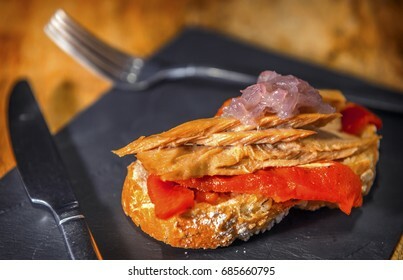 Young pretty couple cooking together dinner at kitchen and talking. 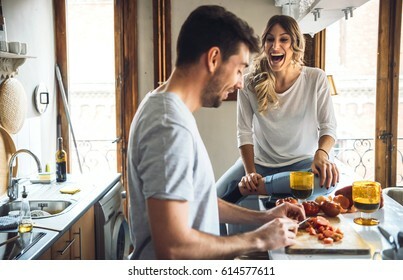 Laughing male and woman cooking together at kitchen and talking.